This entry was posted in ISO, Summer Fun. Bookmark the permalink. very cool! 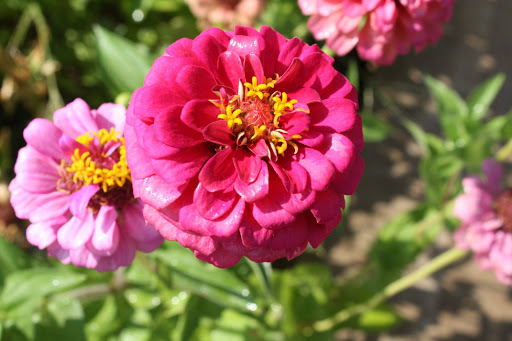 i'm planning to start a zinnia garden in a little area in the backyard! I am so glad you found the seeds from Grandpa! Grandma will appreciate this post also. She may even want some seeds from you. Wow, what a cool story. How fun for you all to do something together that has so much meaning. And they are fabulous flowers. I planted some this year, maybe I'll collect the seeds and start the tradition!